London is one of the most expensive cities in the world, and like many such cities, incomes have not kept pace with the cost of living in general and housing costs in particular. As we saw when we checked out NYC’s Stage 3 Properties, the situation is squeezing many young people out of town or into marginal housing situations. Yet these same young people are less interested in the big places that cost so much; they are less interested in accumulating stuff; they are less likely to be (or get) married and/or have kids; and they are more open to a shared living experience. As we wrote the other day, many of them just “want a clean home near all the action with a good wifi connection”–a type of housing that wouldn’t cost so much if developers deigned to make them. London’s The Collective is one developer who deigns. The Collective is probably easier to understand as a whole system design for living rather than mere real estate developer. 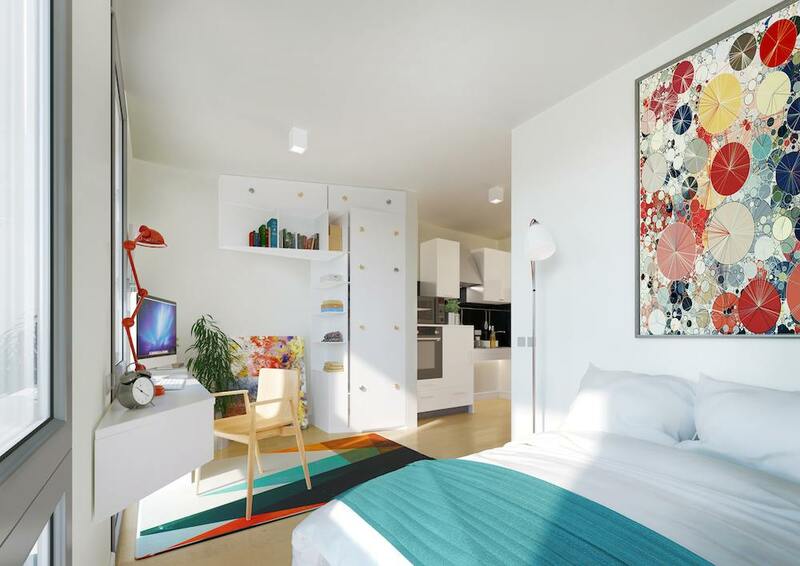 Yes, they have four built buildings and one underway, all featuring minimal, furnished, design-savvy micro-housing with shared social spaces and included amenities. But they also have a startup incubator and coworking space called The Elevator that closes the social-professional loop. Both arms of the company embrace and support a new breed of highly mobile, tech-savvy, entrepreneurial, experience-thirsty urban living for Millennials. David Friedlander: What inspired you to start The Collective? Reza Merchant: I was inspired by my own experiences living as a student in London, faced with the struggle of trying to find decent accommodation at an affordable price. I set up London Student Rent, a student lettings agency, during my last year at the LSE and the company then evolved into The Collective as I became more attuned to what young professionals want and need from their housing. This is basically a high quality, hassle free way of life, which also allows you to meet like-minded people around you–all at an affordable price. DF: How do you see what you’re doing–both in terms of housing and the Elevator–as meeting and perhaps predicting the needs of Millennials in the coming decades? RM: Millennials represent ‘Generation Rent’. Whereas our parents’ goal was to own a property, and renting (in London) had a stigma attached to it, this is no longer the case. Renting is becoming a lifestyle trend and we cater to this increasing trend by providing purpose built rental accommodations. Young professionals work long hours and use their rooms as crash pads, which is why we don’t need excessive amounts of space–as long as it’s well designed. 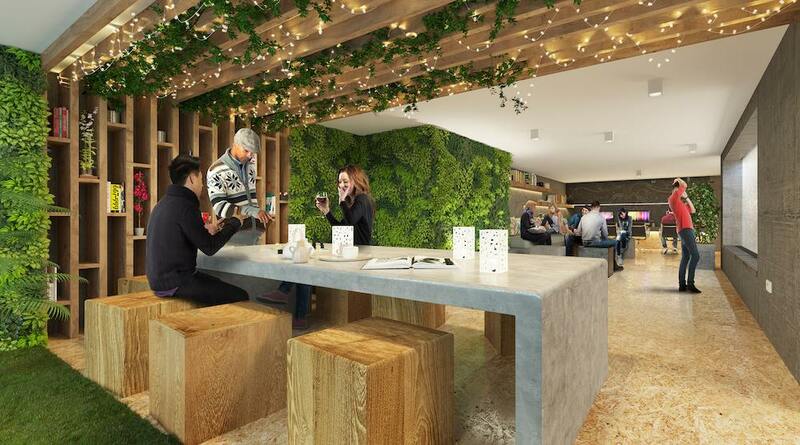 Millennials prefer to invest in experiences versus material possessions and are much more willing to share, which is why we focus on providing a high level of social amenity space with our Shared Living product. Also, we are ‘tech junkies’ and have grown to expect everything as a service. Netflix, Uber, the list goes on, and The Collective offers living as a service. We don’t have time to, nor want to, worry about life admin. So paying one monthly bill which includes everything from room cleaning and linen change, to concierge services and all utility bills and council tax, makes life a lot easier, giving people time to focus on more important things. The same goes for our Elevator workspace product, which also focuses on enhancing the end-user experience. Entrepreneurs are passionate about building their business and their work environment is vital to helping them deliver it. 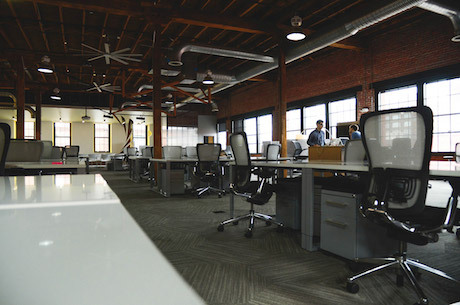 We focus on proving a unique workspace, which focuses not only on providing services offices but also includes all the ancillaries a start-up needs to succeed, from an engaging events programme to access to a network of mentors and investors. The so-called boundaries between work and life are becoming ever more blurred–when you do something you love then it becomes your life. Entrepreneurs are happy to spend long hours in the office, but they also need the creative buzz and inspiration from their surroundings, so we aim to accommodate this. DF: Your focus is squarely on Millennials. Do you see your model working with other demographics? RM: Our model has been created specifically with 21-35 year old young professionals in mind, so it is tailored to suit their needs. There are definitely elements which would suit an older demographic, but essentially once you start settling down and thinking of a family your needs change. We are ‘tech junkies’ and have grown to expect everything as a service. Netflix, Uber, the list goes on, and The Collective offers living as a service. DF: What would you say to people who accuse micro-housing as exploitive, shoving people into overpriced shoeboxes? RM: I would say that an increasing shortage of space, coupled with an increasing population means we are forced to come up with solutions to the housing crisis. Micro-housing is not exploitive if well designed. With the right, innovative design, use of space can be maximized efficiently–it’s little things, like clever shelves to partition the kitchenette from the bed that can also be used as storage space and are also a cool piece of furniture. Also, if you can offer an all-inclusive service offering in the rent, plus a high level of social amenities, like our model does, then it’s not overpriced. DF: How does Old Oak [pictured at top] expand on your previous endeavors? RM: Old Oak is our first new build and the first true embodiment of our Shared Living product. Whereas our existing developments are refurbished building, this is the first time we’ve had a clean slate on which to deliver exactly what we want to. 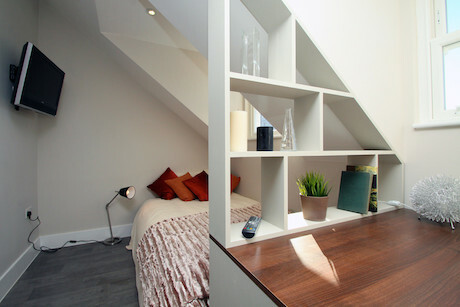 Our rent has always encompassed services including weekly room clean, weekly linen change, concierge services, 24/7 security, free Wi-Fi, plus all utility bills and council tax. However, although we also provided communal areas throughout our existing properties with Old Oak we’re taking it to the next level. 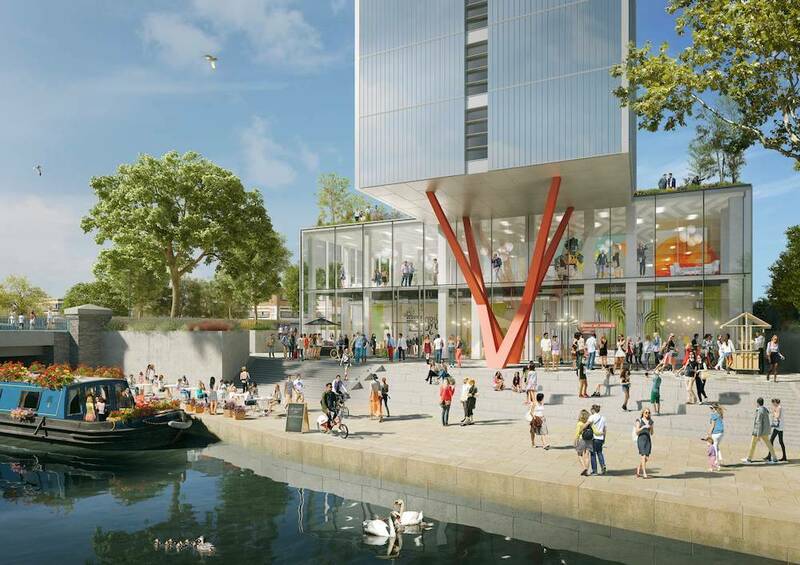 The 11-storey building will have 1,000 sq ft of social amenity space on each floor: a gym, spa, rooftop terrace, cinema room, secret garden, themed private dining rooms. 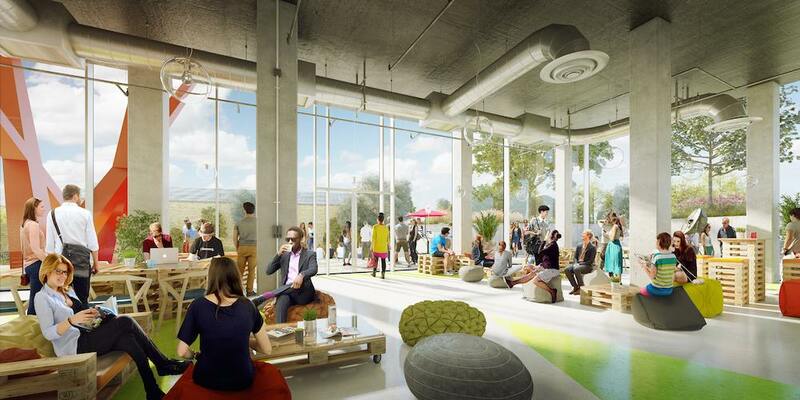 All are designed to facilitate interaction amongst our members, to create a real community feel within the building. DF: What do you see as the future of both The Collective and housing in general? RM: I see the future of The Collective as a leading lifestyle brand, which has redefined the way people live, work and play. Not just in London, but in global cities across the world. The shortage in space means that inevitably housing will become more dense, but hopefully this will just encourage more architects and developers to think outside the box and come up with innovative designs and solutions which mean that quality is not compromised. The use of technology will also shake up the housing market, both maximising space and creating the ultimate customer experience. What Would You Do If Money Weren’t An Issue? This model need not be limited to Millennials. People on the other end of the spectrum, older people without children in the home, might like it, too!